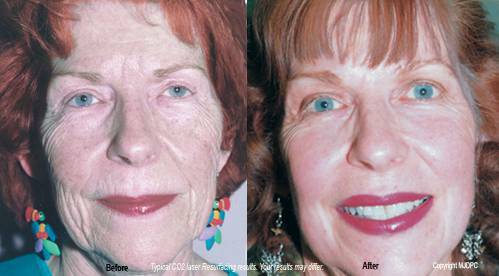 In the past your options included chemical peels, dermabrasion or the use of temporary fillers. 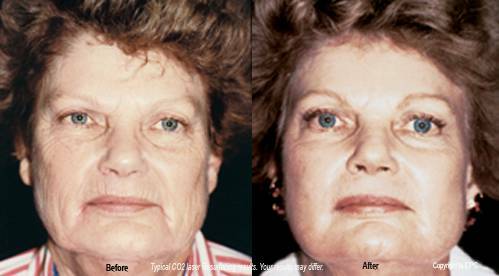 Now, CO2 Laser Skin Resurfacing is performed by Dr. Sundaram for patients in Maryland, Virginia and Washington, DC to remove superficial wrinkles around the eyes, lips, forehead and cheeks seen in aging skin. 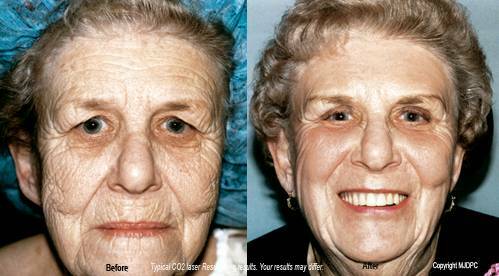 Facial scars and sun-damaged skin are also excellent candidates for this treatment. You will want to explain to our physician the level of skin improvement you hope to achieve. The doctor will then review your medical history and examine your skin type and pigmentation to determine if you are a good candidate for laser skin surgery. Don't forget to mention any history of viral infections, sensitivity to the sun, or prior skin treatments such as skin peels, dermabrasion or Accutane treatments within the past six months. What kind of results can I expect from laser skin resurfacing? Dr. Sundaram performs laser skin resurfacing with local anesthesia if limited areas are treated, while full face resurfacing is usually performed with the administration of intravenous sedation by an anesthesiologist. Both procedures may be performed in our doctor's office. With this new technology, treatment can be tailored to achieve our patients' expectations.